The iris is a mainstay of many gardens. Its beautiful, unmistakable flowers appear in the spring, just as the first spring bulbs are beginning to fade. 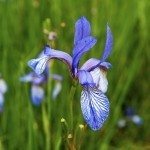 It’s also an extremely diverse genus of plants, which means you ought to be able to find plenty of irises for your garden, no matter your growing conditions and tastes. Because irises are so diverse, there are plenty of cold hardy iris varieties available. Keep reading to learn more about growing iris plants in cold climates, specifically how to pick the best irises for zone 5. There are plenty of cold hardy iris varieties available. In fact, many irises like the cold and prefer having a drop in temperature during which they become dormant. This isn’t the case for all irises, but it is for many. 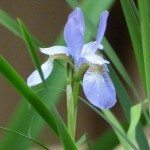 You won’t be able to grow all irises in zone 5, but you are certainly not without options. When growing iris plants in cold climates, their care isn’t much different than anywhere else. 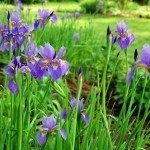 While you can lift the rhizomes for storage over winter, hardy irises generally do fine left in the ground given a good layer of mulch protection until spring. Japanese Iris – Hardy down to zone 5, it has very large flowers at 4 to 8 inches across. It prefers moist soil and likes quite a bit of acidity. Yellow Flag – Hardy down to zone 5, this iris likes very wet soil and produces striking yellow flowers but can become invasive. Dutch Iris – Hardy down to zone 5, this iris prefers well drained soil and is a good choice for rock gardens. Siberian Iris – As the name suggests, this iris is very cold hardy, performing well all the way down to zone 2. Its flowers come in a wide variety of colors.